A happy and healthy workplace is a productive workplace, according to engineers, architects and scientists who are using academic research to build better office spaces. Planners are using what’s called “evidence-based design” to help mitigate environmental factors that lead to a loss in productivity, but the research is still preliminary, the Wall Street Journal reported. Combining sensors with workers’ self-reported levels of productivity and satisfaction — not dissimilar to what how scientists are studying the possibility of life on Mars — can produce data that helps to qualify the effects of new designs, according to the newspaper. “We can now with sensors just see what works well and what works badly, said Arjun Kaicker, the head of user parametrics at Zaha Hadid Architects in London. 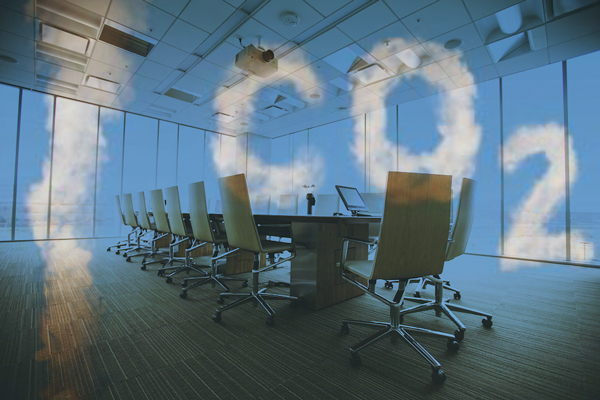 One of the worst offenders is the level of CO2 in an office. A study from researchers at Harvard University, Syracuse University and SUNY Upstate Medical University in 2015 found that high carbon dioxide levels in offices can decrease cognitive performance in knowledge workers by 15 percent. Levels are often highest in meeting rooms, where they can reach 3,000 parts per million. That’s about 7.5 times the current level of CO2 found in Earth’s atmosphere.